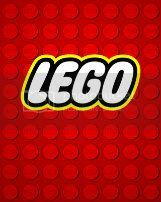 Will Arnett, Elizabeth Banks, Chris Pratt and Morgan Freeman will lend their vocal talents to the LEGO world, starring as characters in the upcoming original 3D animated LEGO feature, currently in production, from Warner Bros. Pictures and Village Roadshow Pictures. The first-ever full-length theatrical LEGO movie follows Emmet, an ordinary, rules-following, perfectly average LEGO minifigure who is mistakenly identified as the most extraordinary person and the key to saving the world. He is drafted into a fellowship of strangers on an epic quest to stop an evil tyrant, a journey for which Emmet is hopelessly and hilariously under-prepared. Chris Pratt (“Moneyball”) stars as Emmet. Oscar-winner Morgan Freeman (“Million Dollar Baby”) and Elizabeth Banks (“The Hunger Games,” Emmy nominee for “30 Rock”) will star as two of Emmet’s fellow travelers: Vitruvius, an old mystic; and tough-as-nails Lucy, who mistakes Emmet for the savior of the world and guides him on his quest. She also calls upon the mysterious Batman, a LEGO minifigure voiced by Will Arnett (Emmy nominee, “30 Rock”), with whom she shares a history. A 3D computer animated adventure, “The Lego Movie” will open nationwide on Feb. 7, 2014. If this is as fun as the Lego video games, then I’m on board.